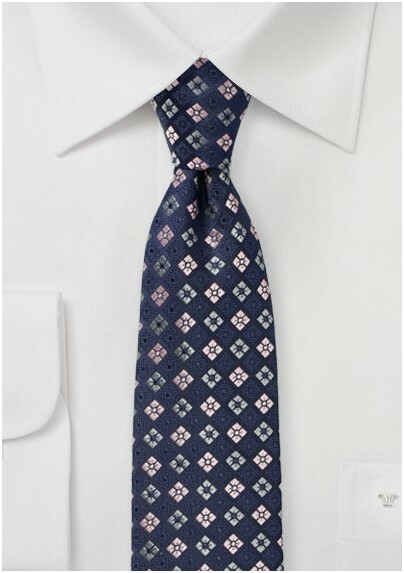 One of our favorite new additions by neckwear brand PUCCINI is this unusual check pattern made up from a geometric floral design. 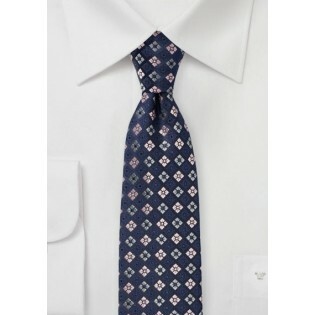 The navy blue background is paired with florals in soft pink and light silver. A great contrast of pattern and colors that looks superb with jackets in gray, charcoal, and gray. This new pattern also comes in a palette of reds and navy.